But magic can't save her friends as they begin to disappear from campus. While Easton Academy bands together in the hope that the lost girls are still alive, Reed can't quite believe tragedy has struck again. And when the first body is discovered with a message just for her, Reed needs to figure out why her friends are being taken, before it's too late. Is being a Billings girl still a blessing - or just a curse? Book Of Spells led the path for Ominous, as it's full of magic, witches, dreams of the future. Ominous went to a totally different direction than the rest of the Private books, because a small, tiny little piece of paranormal was added in it. I know that rubbed some people the wrong way, and it's understandable. 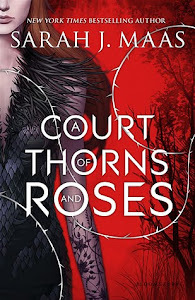 After 12 books about frenemies, parties, boys and a lot of mystery, all of a sudden magic has been thrown in and I can see why someone may not care for it.Personally, I didn't mind. Having already read Book Of Spells I was kind of expecting it, to be honest. Besides, I thought that the magic part was put into much better use in Ominous than BOS, thus resulting into more intrigue and "OMG" moments. I loved the way this book kinda sums up everything that have happened during this 1+1/2 year of Reeds's stay at Easton. Cheyenne, Sabine, even our beloved Ariana made an "appearance".Reed's relationships with the other girls didn't change, nor did her relationship with Josh (and it better stay that way till the end, otherwise I'll freak out :) Yeah, I kinda love Josh. And so admire him for his patience, because what he went through(and still is)with Reed? I think he should win a medal for that or something! He is absolutely amazing and I really really hope they stay together until the very end. As for the ending....priceless!!! Just when you think that OK mystery solved, end of story, close the book, then it goes and surprises you in a way you have to read to believe! 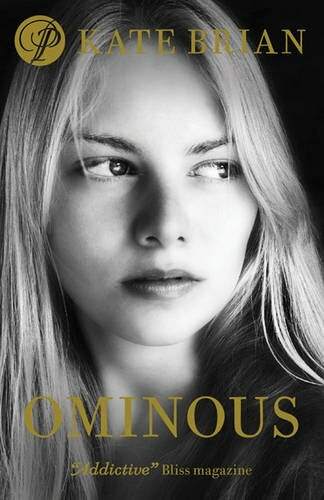 All in all, I absolutely loved Ominous, I read it in one sitting. I am so so so sad that this series is coming to an end (what's next? College? I surely hope so!) but also very excited to read the last book, Vengeance, coming out September 6th, 2011.